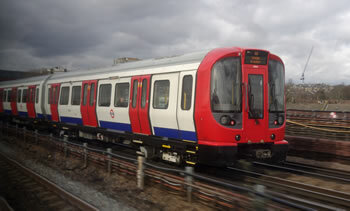 A new generation of bigger and better ‘s-class’ trains are now being rolled out on District Line services between Wimbledon and Edgware – bringing overcrowding relief to thousands of local commuters in Fulham, Putney & Wimbledon. The s-class trains are longer than the carriages they're replacing. Passengers can walk the whole length of the train, so it is easier to get to the least crowded parts, and this also improves passenger safety and security, according to Transport for London (TfL). The new trains provide an 18 per cent increase in capacity. “This is very good news for local residents in Putney and Southfields. The first s-class model is now in operation on services to Edgware and more will gradually be replaced in the coming weeks. We hope it won’t be too long before the City Branch trains are also replaced. The new trains are built by Bombardier in Derby and are all air conditioned and have lower floors to ease accessibility for disabled people and parents with buggies. CCTV also enables the driver to see into every carriage while track-to-train video links give the driver a better view of the outside of the train before leaving a station.